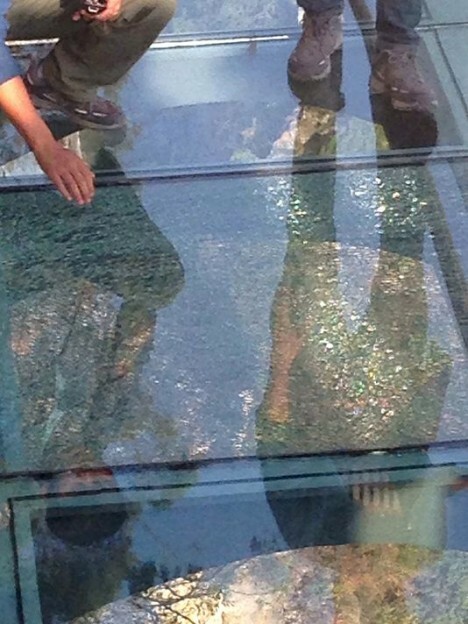 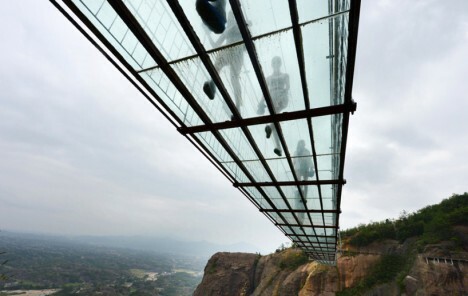 If you thought Twin Peaks was suspenseful, test your mettle on the new glass-bottomed Brave Man’s Bridge connecting two cliffs in the Hunan province of China and spanning nearly 1,000 feet. 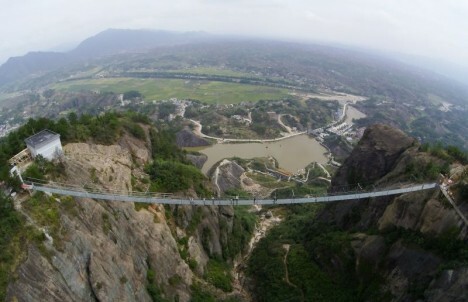 Located in the Shiniuzhai National Geological Park (images by Sina), the bridge employees a new type of glass 25 times stronger than the ordinary variety, achieving its structural purpose despite being just 1 inch thick. 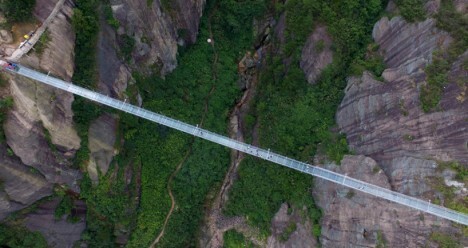 Framed in steel, the converted bridge previously held wooden walking platforms, but to compete with the rise of glass walkways around the world these were swapped out for glass equivalents. 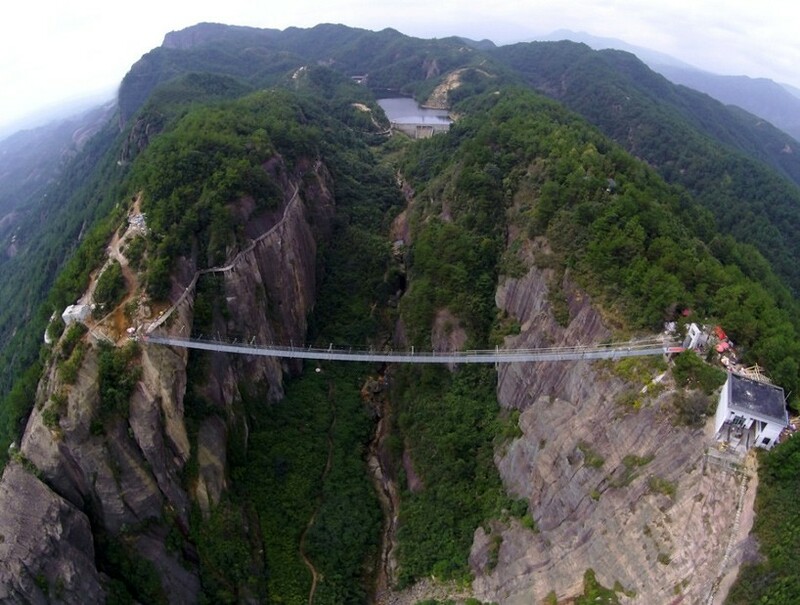 While there are other similarly glass-bottomed bridges arcing out over canyons or crossing natural expanses, this is the longest glass suspension bridge to date. 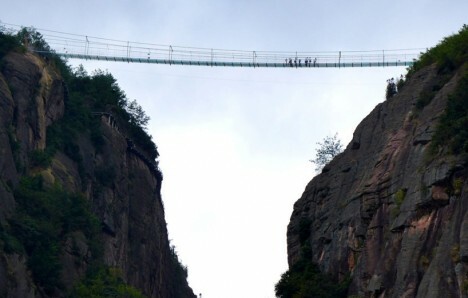 Its engineers have assured the public that it is safe, even if feisty tourists jump on the panels.